On Tuesday, Nov. 13, Eben Alexander M.D. (Neurosurgeon), was featured on the “Dr. Oz Show”. Dr. Alexander is the bestselling author of “Proof of Heaven“. The book is an account of Dr. Alexander’s experience during coma with sever bacterial meningitis. During the coma, Dr. Alexander had a profound near death experience that changed his life forever. On the Dr. Oz Show, Dr. Alexander was presenting research and demonstrating how Binaural Beats creates… a very deep state of relaxation. This state can be so deep that people actually have mystical experiences similar to “near death” experiences. Dr. Alexander endorses this technology for it’s relaxation (stress reduction), as well as it’s positive experiences of a mystical nature. This is the basic technology used in the “Master Key” program. We have heard from many Master Key users about the deep relaxation, stress reduction, and spiritual experiences, from using the Master Key. Is there any way you can provide the entire segment with Eben Alexander on Dr. Oz? No – don’t find a video or transcript anywhere. Just an article with the same info as in this post. Hi! I would like to use your program but I have no really trust in it, because you sell it on a high price. Why do you as Christians use this tools for making money instead of blessing people? Thank you for your comment. We intentionally price our products and services cheaper than other companies in our field. For instance, the new Master Key program would be priced at least $300, if it were priced competitively, for everything it includes. We priced it at $147. We have always done this. If we do not make some money, we cannot continue to help people. Every non-profit on the planet operates on money – called contributions. Every minister I know is Paid, some exorbitantly. They charge for the cd’s of their sermons, books, etc. I do not see this as a problem – the workman is worthy to be paid. None of us are getting rich. We have also never turned anyone away because of money. This includes our programs, not just our products. We reserve 10% of our seats for people who cannot afford to pay. Having said all this, I am not saying we are doing this right. But, we are prayerfully trying to do it right. Well articulated brother. A workman is worthy of his hire. Thanks and God bless you too. I don´t want to start a discussion before having more experience with the codes and maybe the master key. I hope and believe that this is from God although I still believe more in the word “´freely you received freely give away” then that the “worker is worth his hire”. I started an orphanage (www.seed-of-hope.org) in Kenya for 9 years for pocket money and the Lord blessed it. Now I live in Germany, am a christian psychologist by profession and would love to benefit from your tools. But I don´t reach you or get answers without having to pay first. I would love to see results and even spread the codes in Germany. Is there a chance to test, learn and experience for me? You just did reach us! So far the Heart Issues Finder is in German – http://thehealingcodes.com/heart-issues-finder/ – look down on the page until you see it in German. You can also translate ANY page with the free translate tool. You will have to figure it out because it is a machine translation but most people find it quite helpful. The book, The Healing Code, is now available in 25 languages. I do not know if German is one of those languages but you can search for it online. thanks, but from my english i hope you can see that language is not the problem. i have asked some questions already on your website without having received a reply. And you have been answered – read the comments. There are many other companies that have been putting out these kinds of songs for some years now including one Brain Sync with Kelley Howell who seems like a reputable person and her stuff is available free on YouTube and also the CDs are quite reasonable. Could you help us understand why TMK is better? The Master Key is much more than just a recording – it is an entire program. 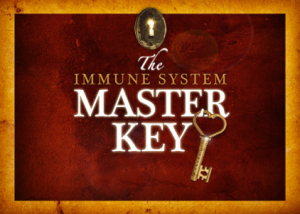 This post is just to reference that this part of The Master Key technology was on Dr. Oz.